Getting your home ready for winter can be a race against time. 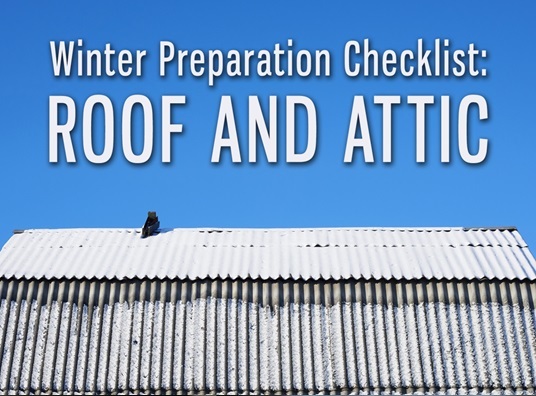 With a hands-on approach and a few tweaks to your roof and attic, however, you can get it done. These areas are your priority, as heat can escape through them during the cold months. 1. Check for missing or damaged shingles. Have these replaced if necessary to avoid being stuck with a leak in your roofing. 2. Check for decrepit flashing along the chimney, walls, and vent pipes. Seal all connections where moisture may likely penetrate, using some roofing cement and a caulking gun. 3. Check for slack fastening in your gutters and downspouts. Be sure to tighten any loose fixtures. 4. Schedule a thorough gutter cleaning to remove leaves and debris to prevent blockages along the downspout. 5. Cover all vents and outlets to prevent pests from getting inside your home. 6. Insulate your attic properly. High-efficiency insulation in your attic keeps warm air from escaping upward. Our insulation balances the temperature of your attic space and the roof deck, helping you keep a comfortable temperature inside your home, while reducing your reliance on the heating system and lowering your energy bills. Tedrick’s Roofing is the trusted name when it comes to roofing in Federal Way, WA, and its surrounding areas. We are certified installers for top brands like GAF®, CertainTeed®, and Owens Corning. Moreover, we are so confident in the quality of our work that we do not require payment for roof installations until the job is complete. Get your winter preparations off to a great start with a FREE estimate on your checklist requirements. Contact us today by calling (877) 212-9355 or simply fill out our request form.